The ACM SIGGRAPH 2009 Distinguished Artist Award for Lifetime Achievement in Digital Art is presented to both Lynn Hershman Leeson and Roman Verostko. Lynn created paradigm-changing innovations with a broad range of emergent applications and pioneering new modes of storytelling, all accomplished with a strong aesthetic and insightful cultural discourse, establishing a body of work compelling beyond technical achievement. Imaginatively intertwining fantasy and cultural commentary into new formats, Lynn’s works serve as an example of how new technology can be applied to provocative social issues while exploring new artistic sensibilities. As an artist, writer, and educator, she has generously shared her process and ideas, and in doing so, has inspired a new generation of artists. She began her career first as a painter and sculptor, and then as a performance and installation artist, before turning to video by the late 1970s. Exploring the perception of self and identity while calling into question social and cultural assumptions, her early productions foreshadowed her later works with avatar personas. In 1979 Lynn began work on Lorna, one of the first interactive videodisks ever produced, completing it in 1983. Lynn went on to create other interactive video works, spanning the period when interactivity was largely unexplored, and setting precedents for creating new ways of communicating meaning in a format that is still evolving. In 1995 Lynn turned to telerobotics, incorporating internet interactivity into ongoing explorations of the roles of spectator and subject in the context of a feminist critique.. 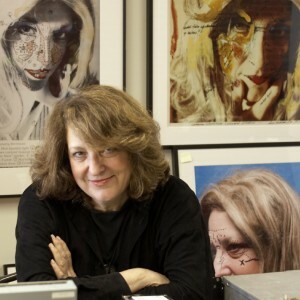 Her work expanded to include three feature films, further exploring identity in current society. Her newest work takes place in Second Life with a reconstruction of the social commentary fantasy worlds that she constructed before the digital age. Lynn received her BS in Education, Museum Administration, and Fine Arts from Case Western Reserve University in 1963, and in 1972 she received the MA from San Francisco State University. Continuing her active academic career, she is currently Chair of the Film Department at the San Francisco Art Institute, Professor Emeritus at the University of California, Davis, and an A.D. White Professor-at-Large at Cornell University. Exhibiting internationally in Museums, Film Festivals, and a variety of Conferences, Lynn’s contributions to the discourse of interactivity include her book Clicking In, Hotlinks to a Digital Culture. Lynn Hershman Leeson is an internationally recognized pioneer in creating participatory digital works that push the boundaries of the art of our time, and ACM SIGGRAPH is very pleased to honor her. 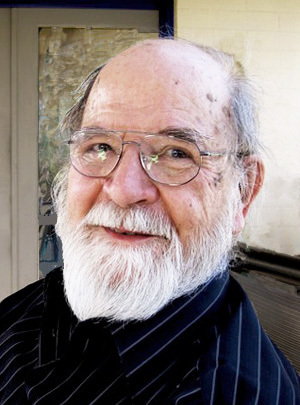 Roman Verostko has presented seminal contributions to the creation and promotion of digital art. Fusing his knowledge of computer programming with a long engagement with diverse cultural and philosophical traditions, Roman developed a highly personal approach to using a pen plotter to layer elegant lines into astoundingly beautiful compositions. His work stands as a monument to the aesthetic power of algorithmic art, and continues to inspire artists to take charge of their own tools in exploring new media. In 1982, with over 30 years experience as an artist, Roman added digital imaging to his repertoire with his animated Magic Hand of Chance. He began integrating the computer with more traditional studio practice in 1986 by programming a plotter with multiple pen stalls to draw with rich colors, adding oriental brushes in 1987. Built of expressive algorithmic strokes, the work evokes traditional Chinese calligraphy but is also informed by American and European influences ranging from illuminated manuscripts to constructivism, high modernism and beyond. Roman brought spiritual contemplation to his new methodology, breathing life into the mechanical with his algorithms. Roman’s artistic career developed from a humanist perspective. After graduating from the Art Institute of Pittsburgh in 1949 he embraced religious life as a Benedictine Monk. He received the BA in Philosophy from St.Vincent College (1955), the MFA from Pratt Institute (1961) with further studies in Medieval Art at NYU and Columbia, and a year of printmaking with Haytor at Atelier 17 in Paris. Turning away from a life of religion, in 1968 he left monasticism to teach Humanities at the Minneapolis College of Art & Design, eventually serving as Academic Dean, then Chair of Liberal Arts. He retired as a Professor Emeritus in 1994. In 1985 Roman was a Visiting Professor at the China Academy of Art in Hangzhou. Drawing on the cultural aesthetics of Asian and Euro-American traditions he has furthered the discipline by demonstrating the power of algorithmic art to engage meaningful semiotic content. He has been an advocate for compelling digital art, speaking and writing about his work and humanist philosophy as well as exhibiting internationally, including many editions of SIGGRAPH. Roman Verostko is an internationally recognized pioneer who has advanced both the aesthetics and techniques of digital art over an extraordinarily accomplished and fruitful career. 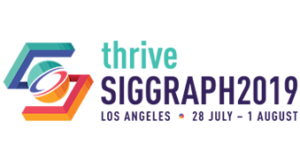 ACM SIGGRAPH is very pleased to honor him. Photo by Thomas L Fleisher.